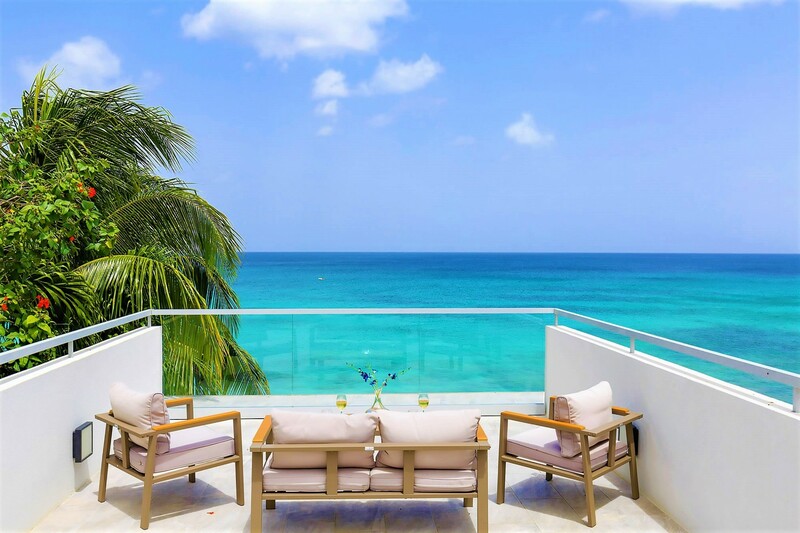 Welcome to Imagine, a 4-bedroom Luxury Villa that is nestled along the beachfront on the West Coast of St James parish, in Barbados. This exquisite home can accommodate up to eight guests across its large, contemporary interiors and secluded exteriors. 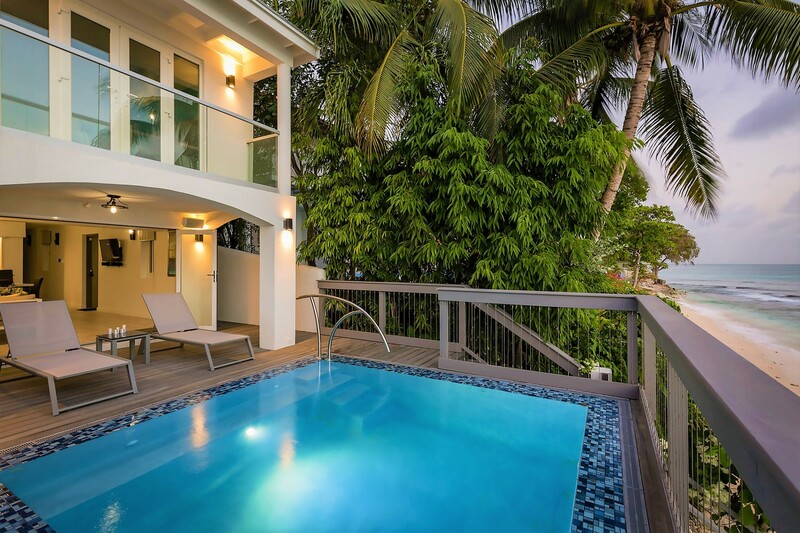 The Villa is comprised of three levels and is a newly renovated. 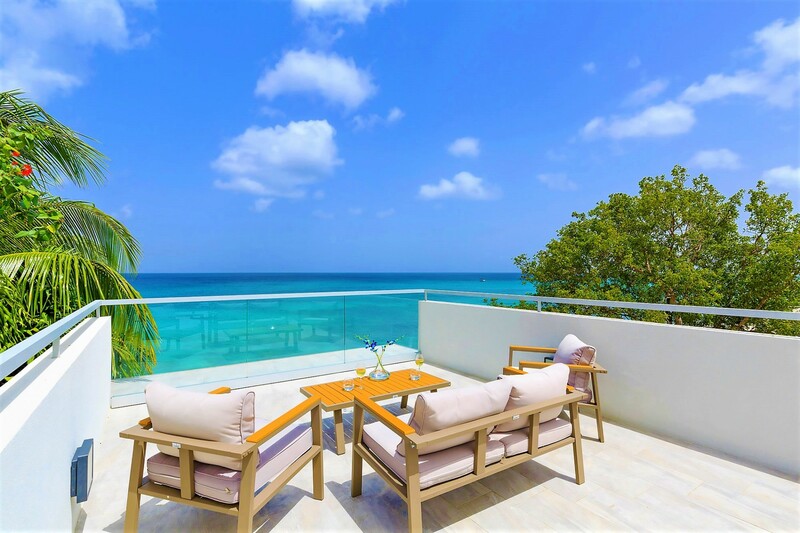 The lavish property has a profusion of exceptional amenities such as the new penthouse suite, the crisp salt water mirrored pool and the panoramic sea views that span out across the mesmerizing waters of the Caribbean Sea. 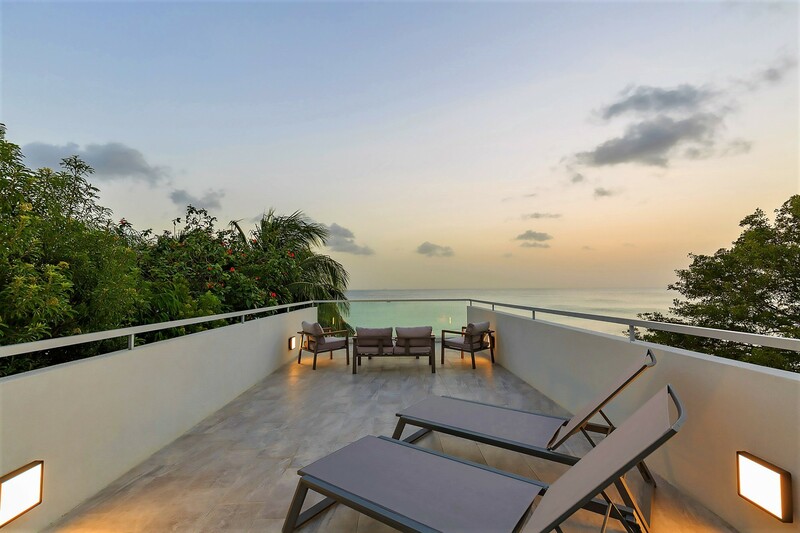 Villa Imagine is immersed in the surrounding tropical trees and vivacious plants that bloom along the coast. Here you can sit back and allow the rhythmic sounds of the waves take away any mundane stresses. 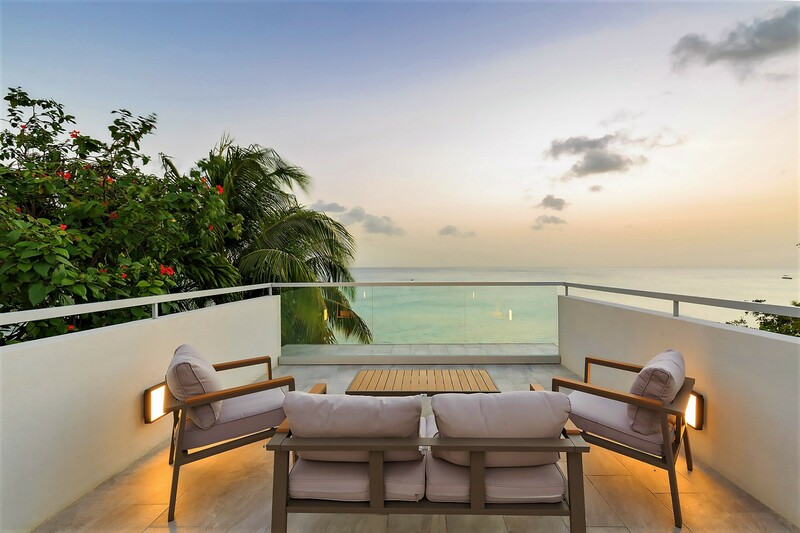 Relax on comfortable chic sun loungers on the private Penthouse terrace. Here you can enjoy the suns warm embrace or indulge in your favourite novel as boats swiftly and silently sail past. 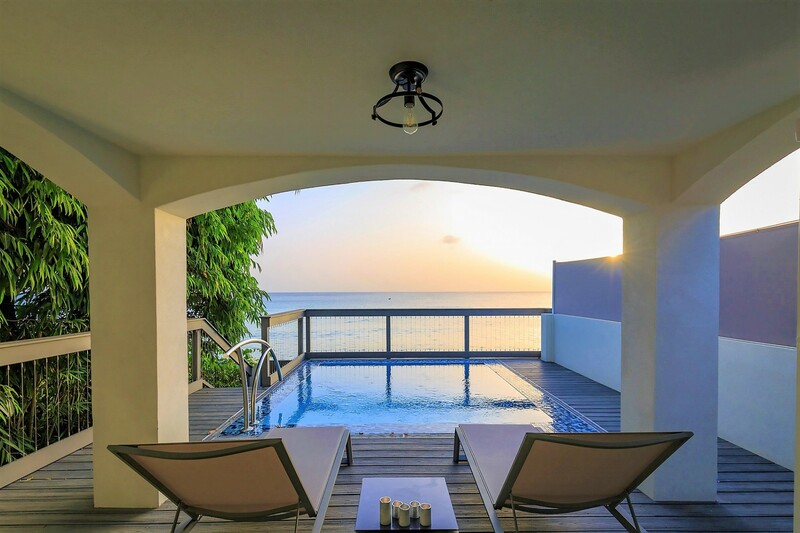 You can make your way down to the crisp saltwater pool and slip into the cool waters for a refreshing morning swim if you wish. 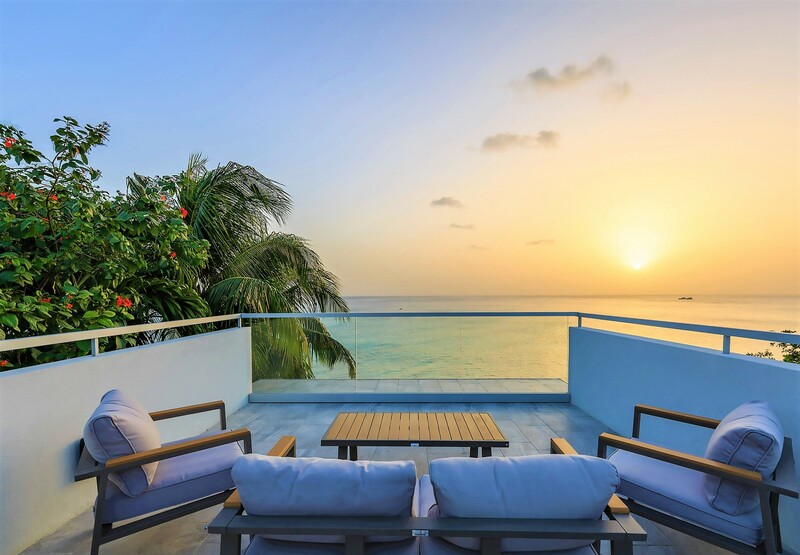 Or maybe enjoy an authentic meal made by your private chef as you watch the sunset along the alluring ocean, turning the sky a warm pink and fading off to a deep midnight blue. You can sit in the outdoor seating area and watch as the night's sky spark with stars. Discover a new level of tranquillity and experience complete peace of body and mind here in Villa Imagine. Imagine also has direct beach access to the sandy shores below. You can spend a day out on the sugar-fine sands close to your private villa. 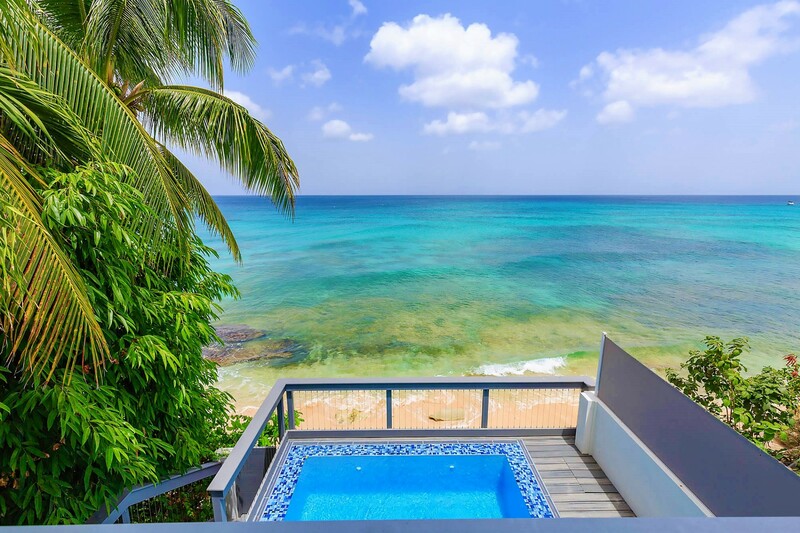 Indulge in a refreshing swim in the Caribbean Sea and maybe go snorkelling with the turtles. Long walks along the shore while the sun sets is also a memory that will live with you forever. Delving into the pristine and modern interiors of your private villa, you will first come across the ground floor. The private terrace and pool area is based on this floor and will directly lead you into the open designed living area. 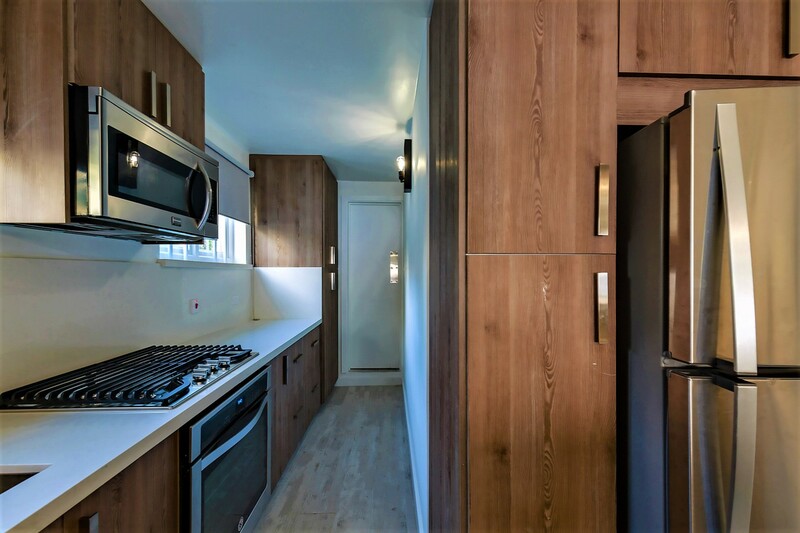 Here the living, dining and kitchen spaces blend together forming a very modern space. The room is flooded with light due to the large floor-to-ceiling glass doors. 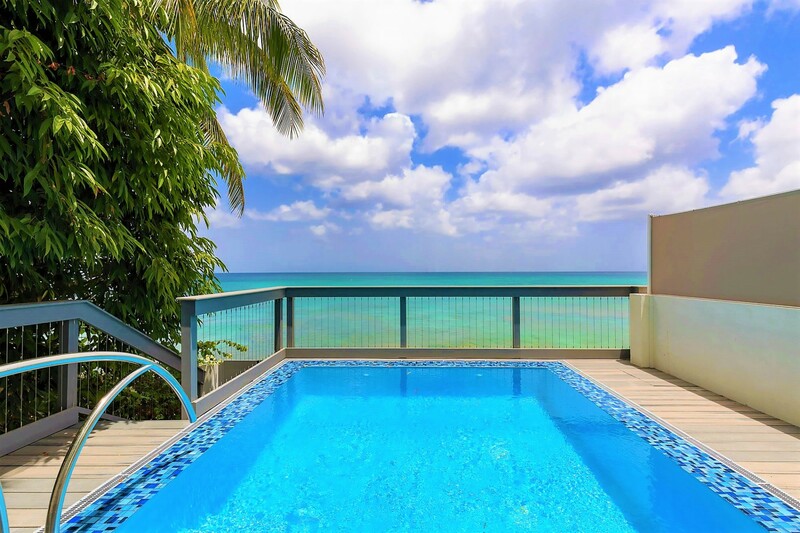 The views of the beach and the beautiful surroundings are highlighted from all angles. 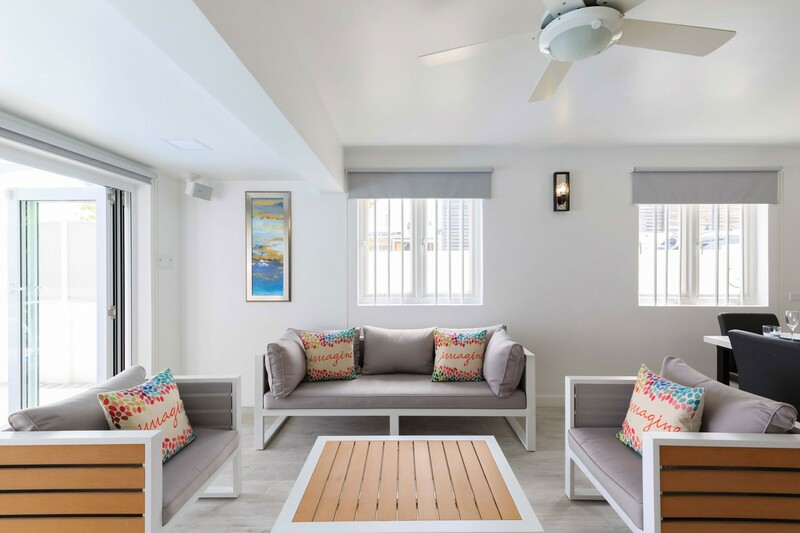 The plush sofa is dotted with vibrant cushions and looking up above you there is a fitted ceiling fan to ensure a comfortable temperature always. The dining table seats up to six guests and is beside the fully equipped kitchen. Here you can try out a few new recipes if you wish or ask your private chef to cook up some delicious snacks. 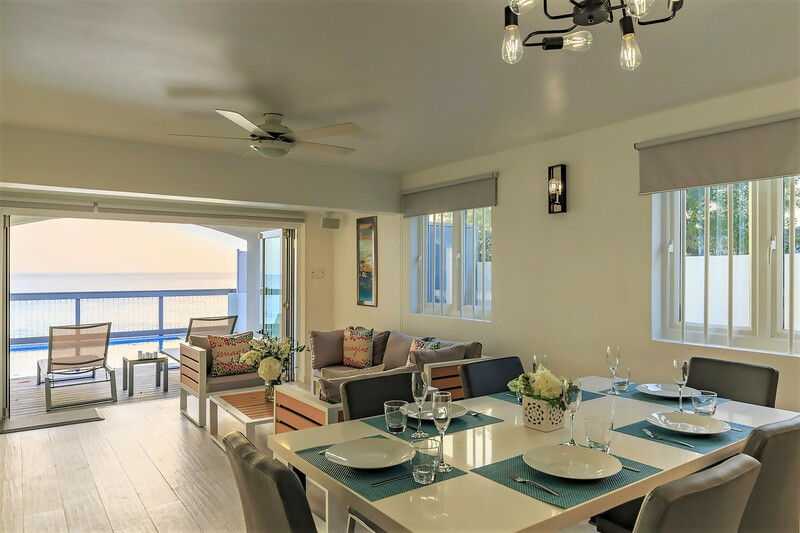 The villa is fitted with the latest technologies and devices such as a multi-room audio system, top-notch security, and atmospheric lighting zones. 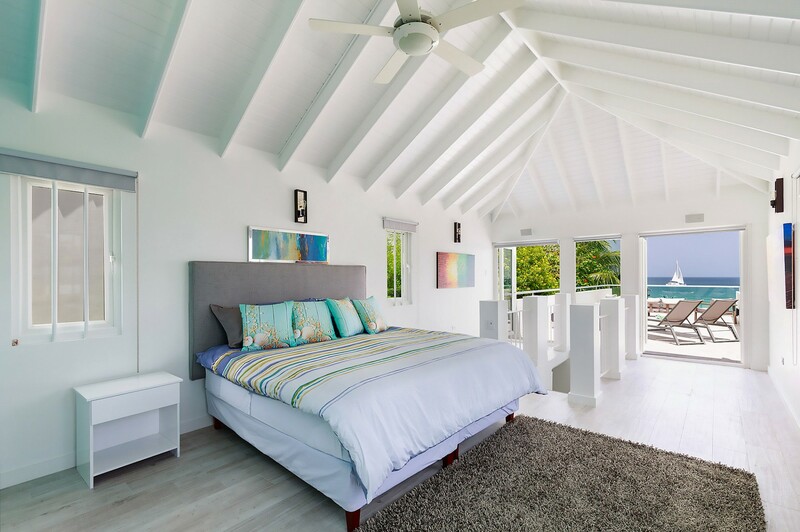 The bedrooms in this villa are truly luxurious. 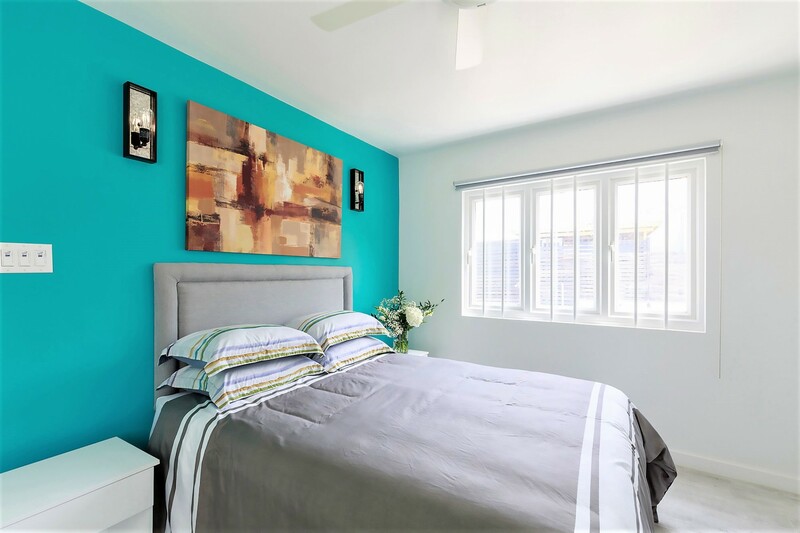 The rooms follow a minimalistic and modern design and layout. 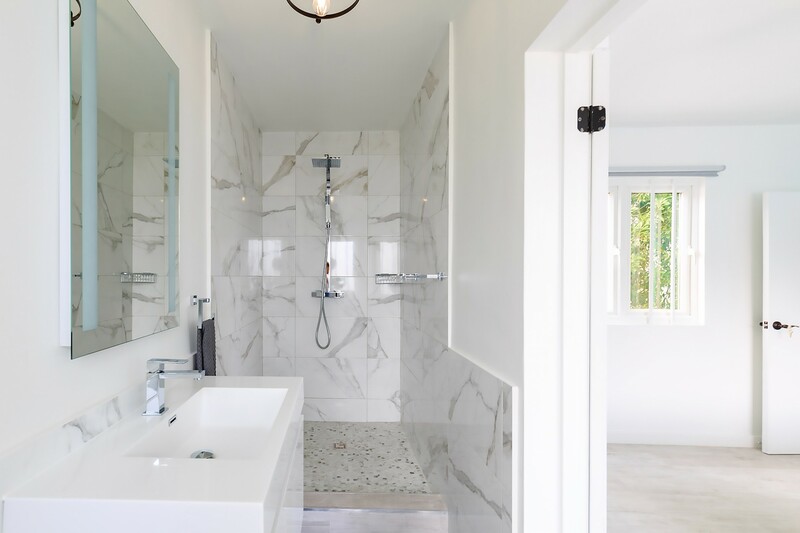 The master suite is located on the top floor and is fitted with its own private en-suite bathroom, including a standalone rainfall shower. The room is very spacious and is flooded with light due to the rooms vaulted high rise ceilings. The large double bed sits opposite the high-resolution television. You can sit back and watch some TV and choose from over 1000 TV channels and Chromecast. You will find two more large guest bedrooms on the first floor. 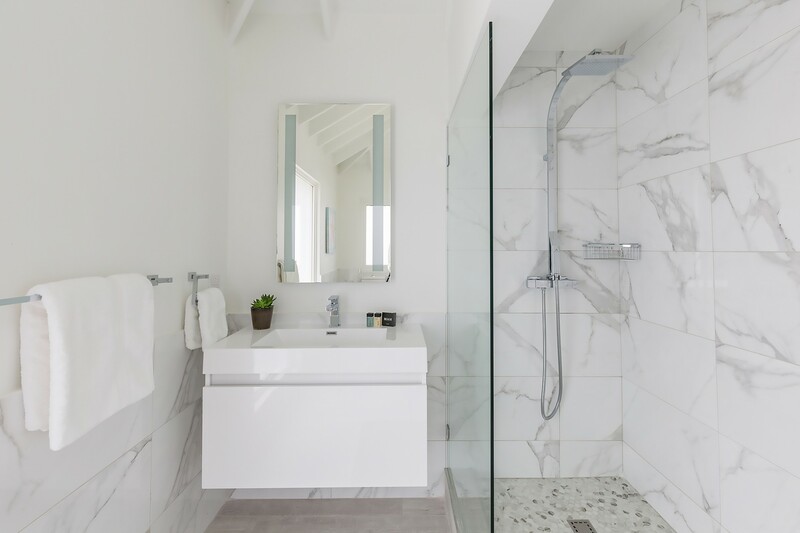 Both have private en-suite bathrooms with standalone rainfall showers. One of the bedrooms has a large double bed and the other has two comfortable twin beds. The rooms all have air-conditioning and high-resolution plasma televisions for you to use. 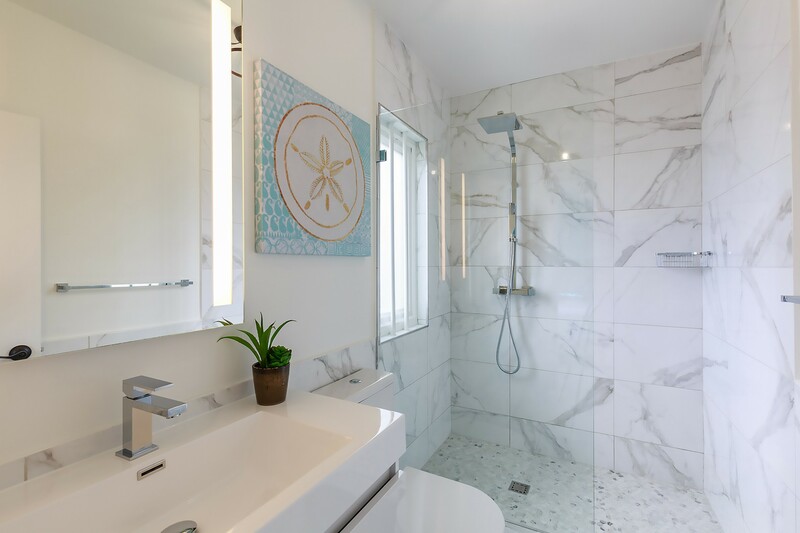 The remaining suite is also located on the first floor and like the other luxurious bedroom, it is fitted with a private en-suite bathroom, rainfall shower, air-conditioning and a high-res television. 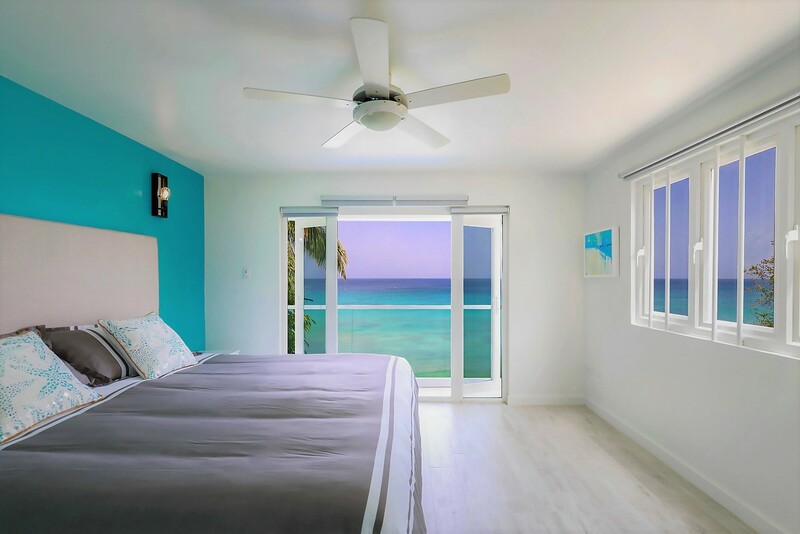 However, this master suite also has direct access to the private glass balcony that overlooks the private salt water pool and the glistening waters of the Caribbean Sea. 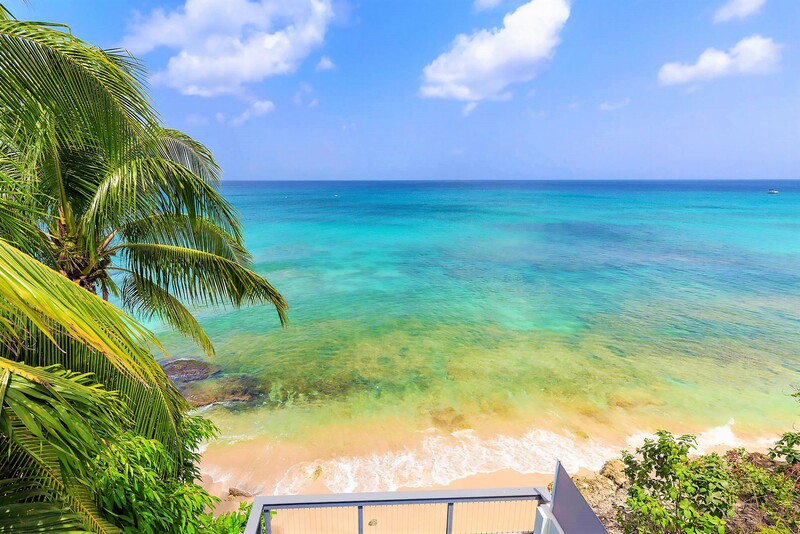 Imagine is nestled on the soothing beachfront on the West Coast of St James, Barbados. 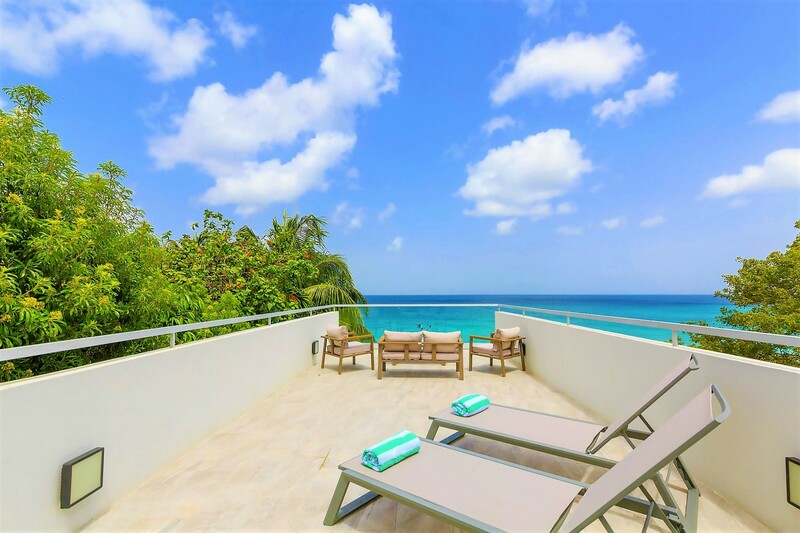 The Villa features some of the most exquisite panoramic sea views that span out across the mesmerizing waters of the Caribbean Sea. 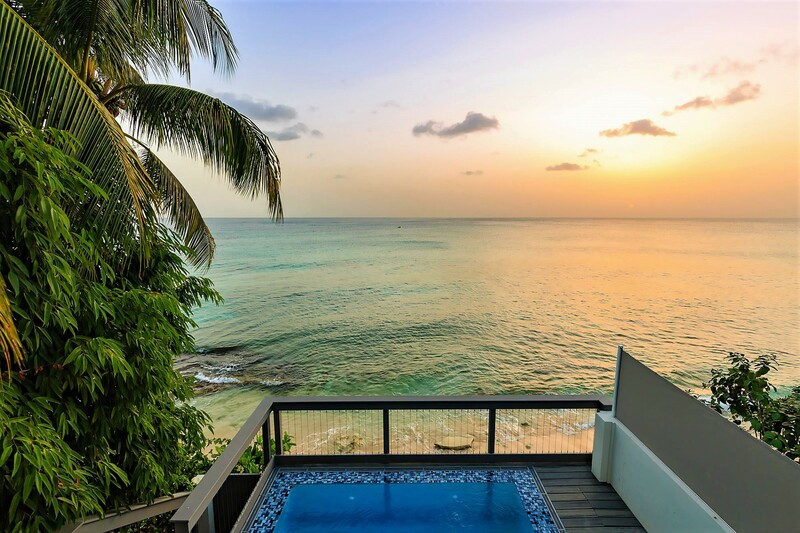 Barbados is a vibrant coral island that is nestled in the tranquil waters of the Caribbean Sea. On the West Coast, where Imagine is located, you will find an abundance of beaches that stretch along a crystalized blue-green sea. Coral reefs fringe the coast and provide you with some of the best snorkeling and Scuba Diving Locations. 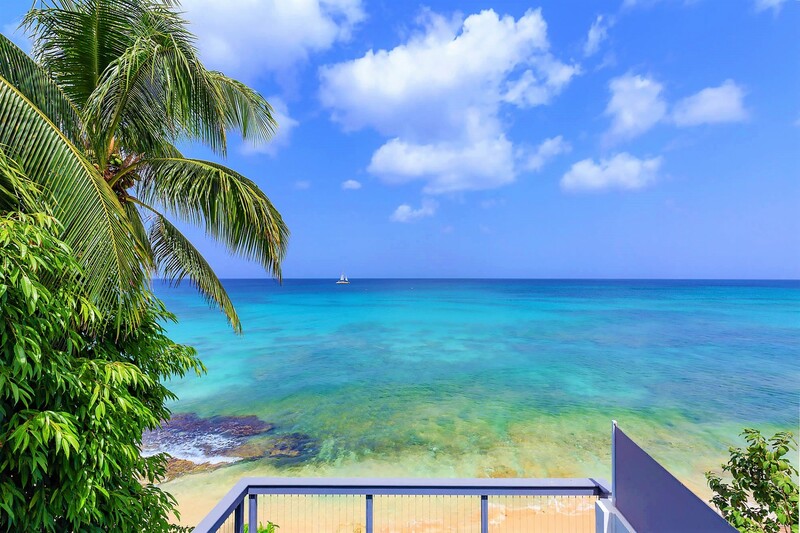 The trade winds provide the land with a refreshing breeze giving it a mild and pleasant tropical climate. 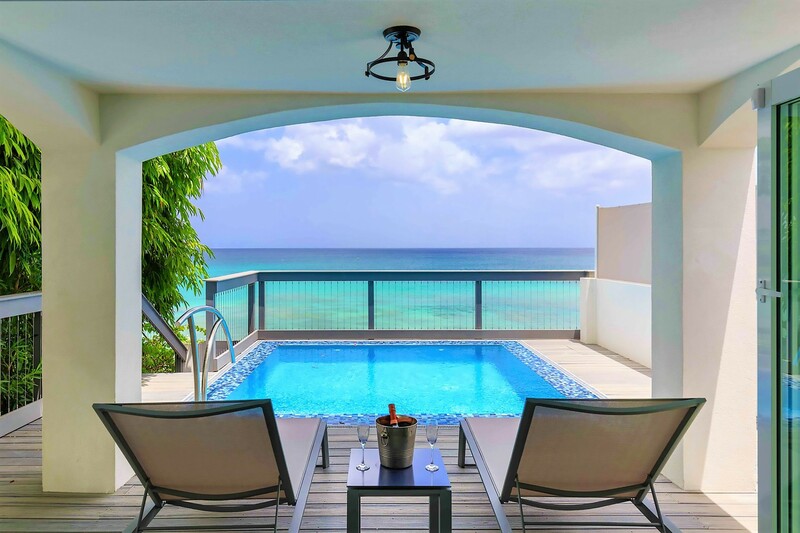 Saint James is famous for its high-end resorts that are dotted along the Seas coastline. 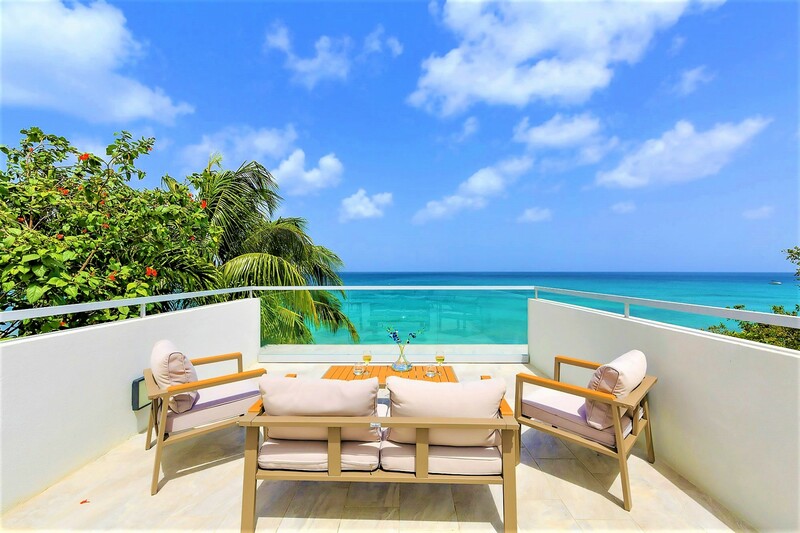 St. James has a range of excellent fine dining restaurants, several golf courses, shopping outlets and exclusive soft sandy beaches including calm Payne’s Bay and Sandy Lane. It is home to the Apes Hill Golf Course, a top-class course laced with ravines, wooded areas as well as natural and man-made lakes. This is the perfect location for you to spend a day playing a leisurely game of golf with your friends. Chattel Village is located on the West Coast and the "Village" provides you with a profusion of vibrant places to explore. There are souvenir stores, bath and body items, art pieces, beachwear, and exotic boutiques. These are only some of the Best Things to do in Barbados. 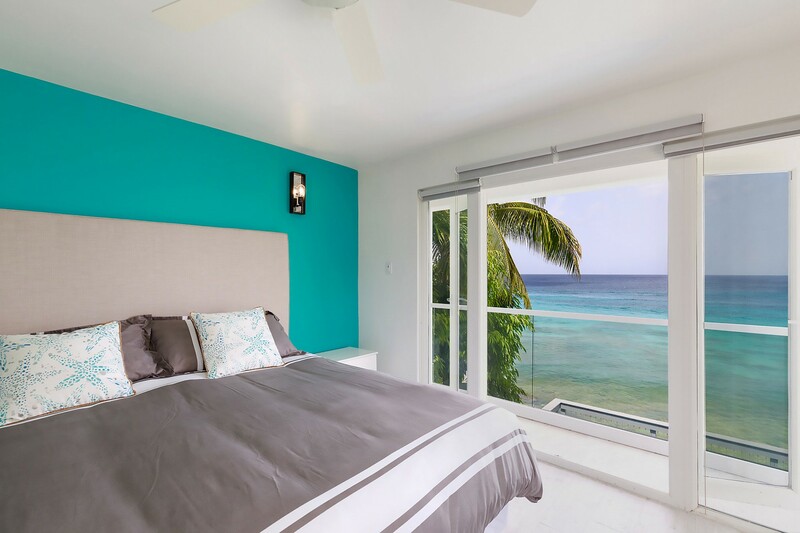 Bedroom 1 Master: Penthouse Suite: Luxurious Double Bed, Private en-suite bathroom, Rainfall Shower, Ceiling Fan, air-conditioning, High-resolution Television, Direct access to the private terrace, Glass Balcony, Sun loungers, Panoramic Sea Views. 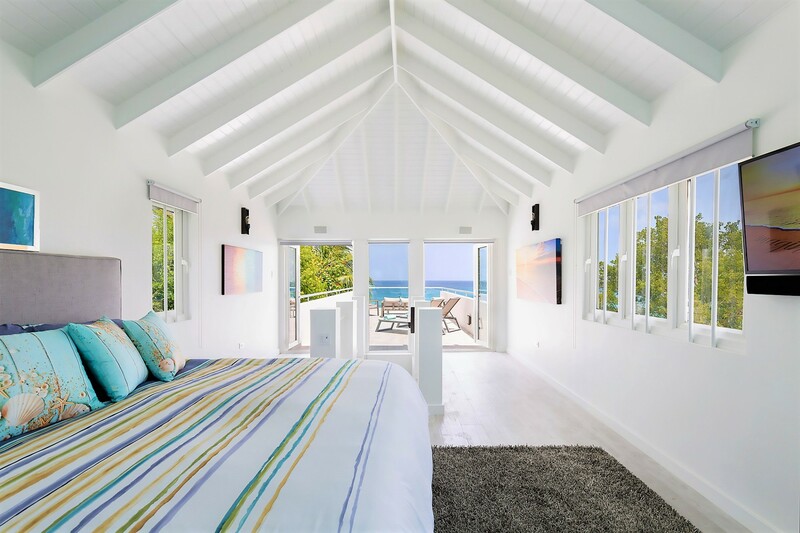 Bedroom 2: Large Double Bed, Private En-suite bathroom, Rainfall Shower, Ceiling Fan, air-conditioning, High-resolution Television, Access to Private balcony, Views of the Ocean and the Pool. 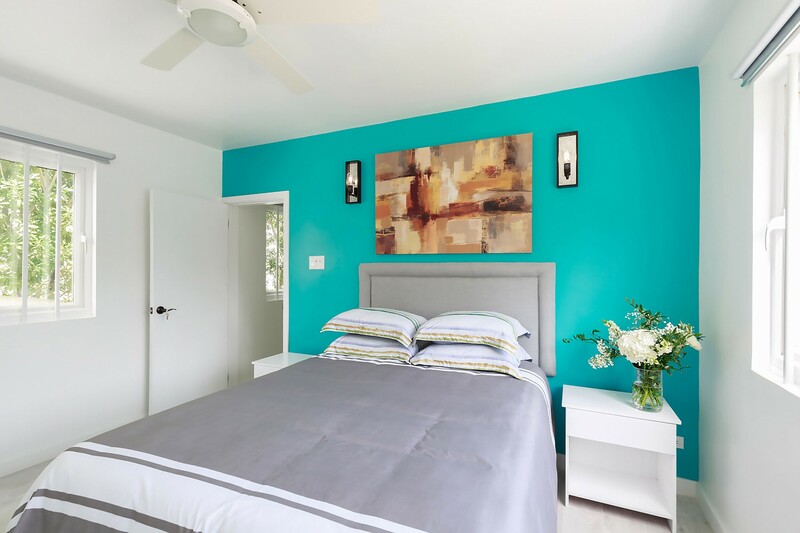 Bedroom 3: Comfortable Double bed, En-suite Bathroom, Rainfall Shower, Ceiling Fan, air-conditioning, High-resolution Television, Views of the surrounding area. 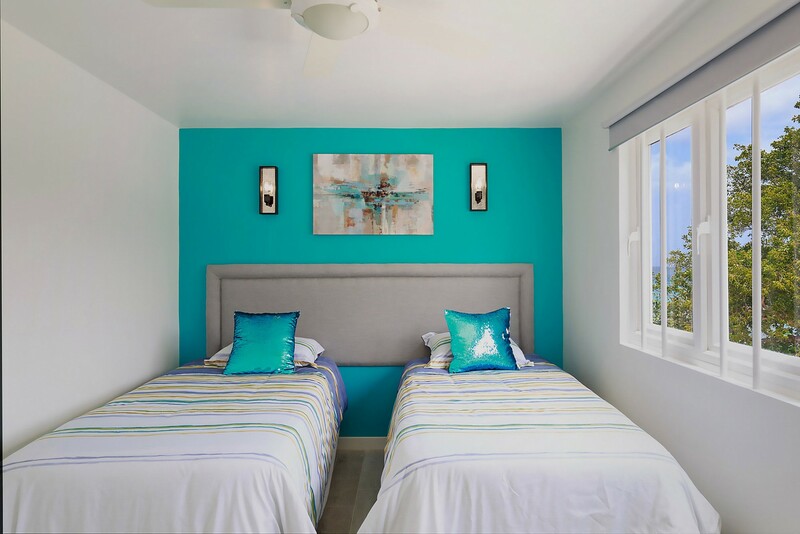 Bedroom 4: Comfortable Twin beds, En-suite Bathroom, Rainfall Shower, Ceiling Fan, air-conditioning, High-resolution Television, Views of the surrounding area. Spent a week here recently with my family of 7. 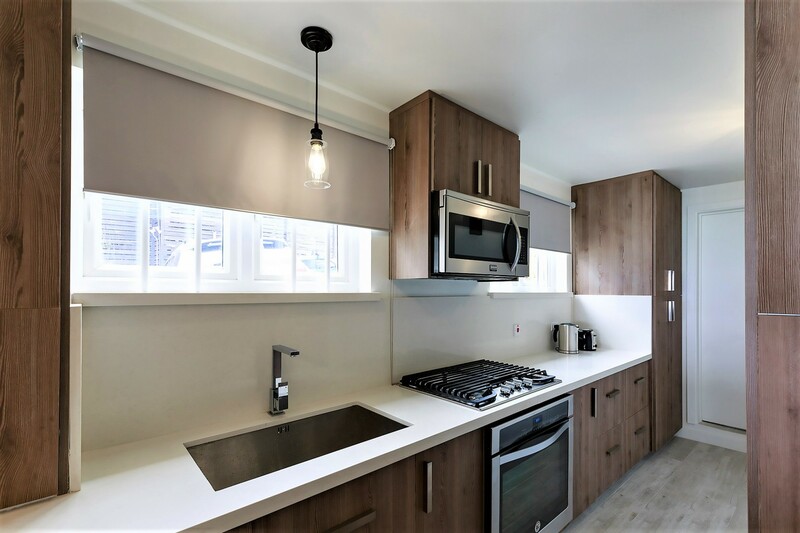 "Imagine" was everything we could ask for with 4 spacious bedrooms, a living area that opened out onto a balcony and came complete with plunge pool. 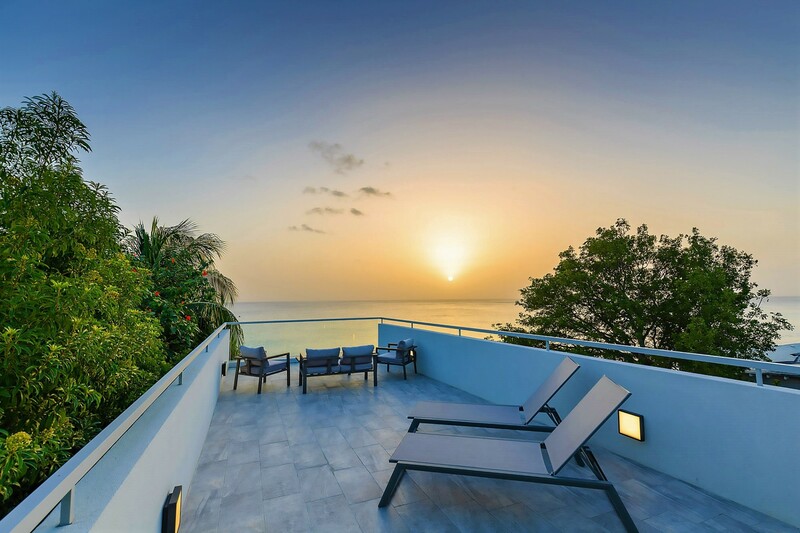 There is a rooftop patio which gives panoramic views of the West Coast and the Caribbean Sea is right on your doorstep which brings the most amazing sunsets. We all went swimming and snorkelling to the left of the villa as there was a coral-free area there. Cin Cin restaurant is close by and serves wonderful lunches and dinners. We also dined on the patio some evenings sampling our cook's tasty Bajan cuisine. What wonderful memories we took away from villa Imagine We will be returning in 2019. 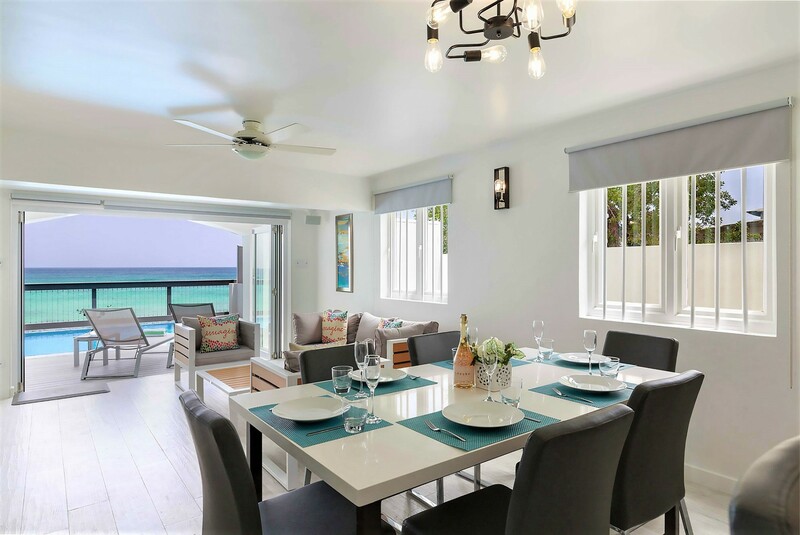 Imagine is a great 4 bed villa with a real contemporary décor. Its also very high tech! Everything works remotely! The views are stunning & I loved the roof terrace which gets a fab cooling sea breeze. There are a couple of steps down to the beach there- it's a lovely stretch. There are 3 levels in the villa. Good to know it's right beside Cin Cin for delicious dinners! We were v impressed with Imagine - loved the cool decor and beachfront location. 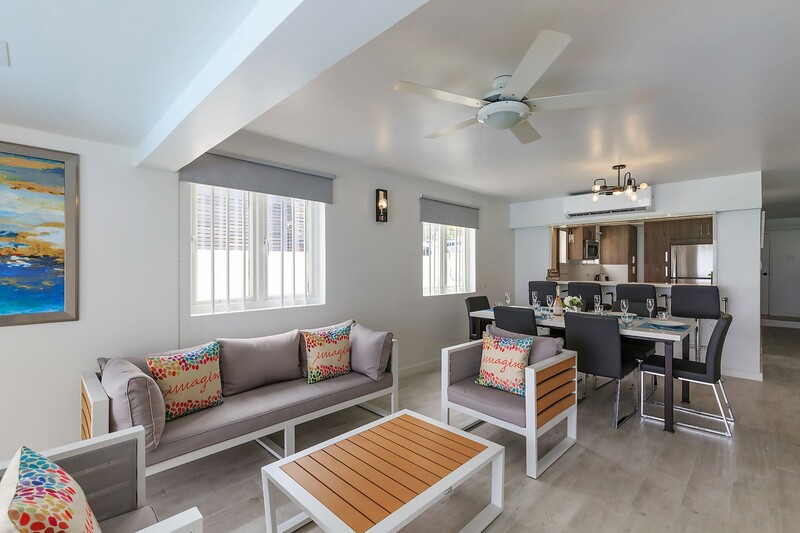 Imagine is a wonderful option for a family needing 4 bedrooms right on the beach. It is located right beside the wonderful Cin Cin Restaurant. 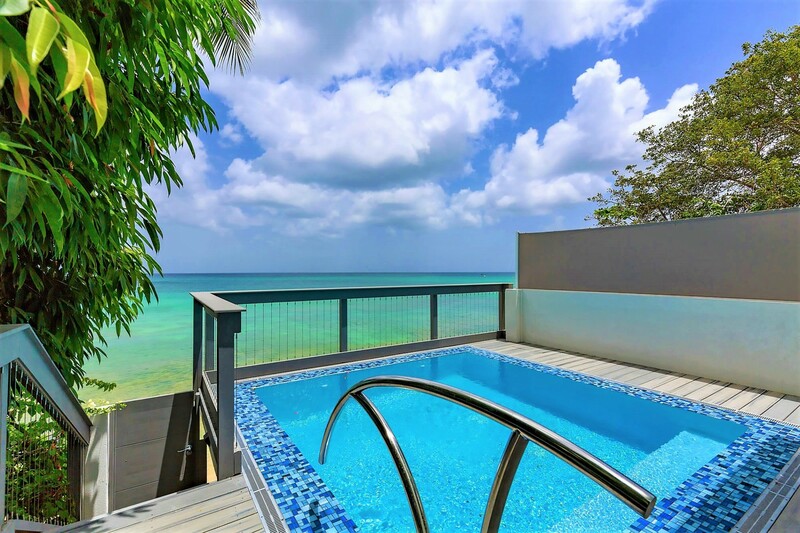 There is a small plunge pool for cooling off and of course the beach directly in front.